*No, it’s not a program on your washing machine. It’s always a pleasure to welcome the other place to the Home of Real Tennis and this Saturday was no exception. Indeed, very welcoming hosts we were in allowing our visitors full use of the winners column. 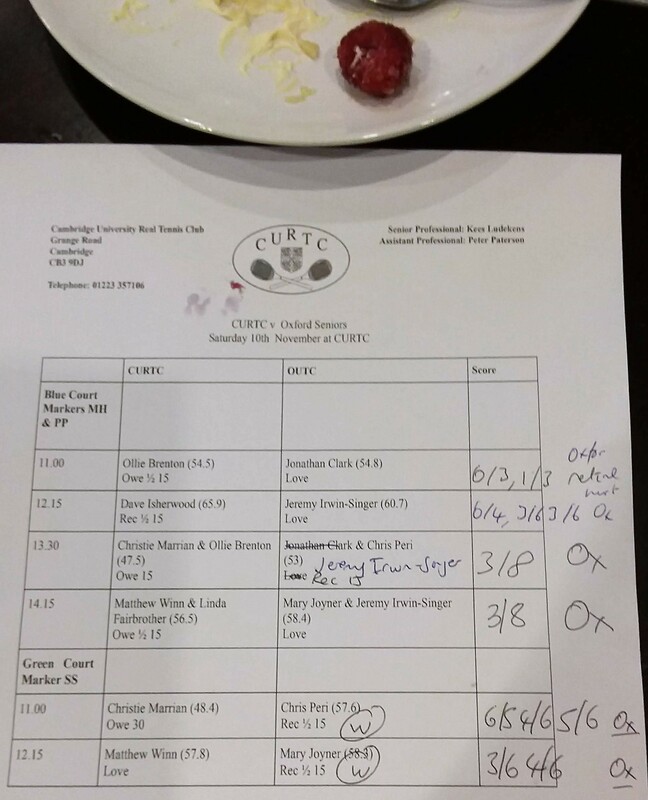 Credit to Ollie Brenton & Dave Isherwood who won sets in the Singles, especially Ollie who might have spared our blushes if his match had not been interrupted. ‘We will get ’em in the Doubles’ also proved a vain hope as our two Doubles pairs continued the welcoming host theme of the Singles matches and managed to come second by identical scores. Nonetheless a thoroughly enjoyable day of tennis and lunch. We look forward to visiting the other place again next year! ← New East Anglian Pennant – 1st round WIN!